There is an exception to every rule. In my world view there is very little that’s black and white and instead we live in nuance shades of gray. 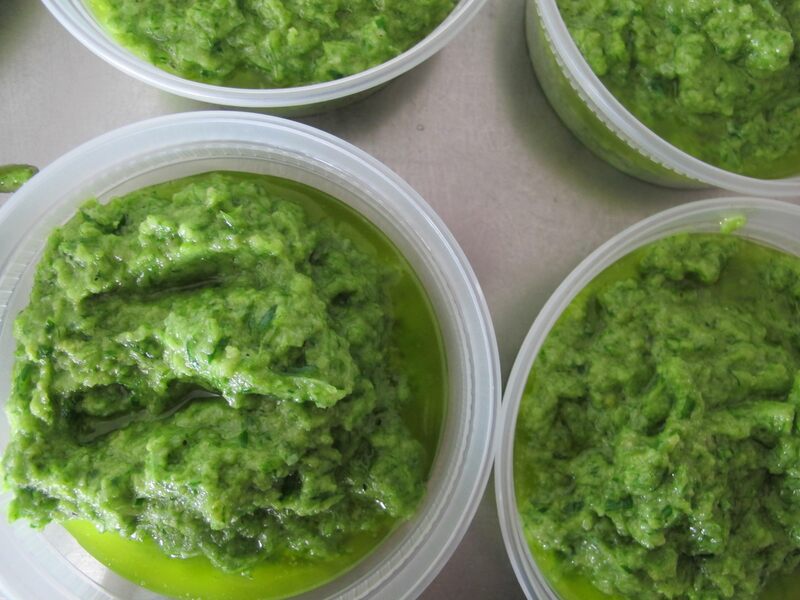 And so it is with my garlic scape pesto – beware you vegan followers – which is, alas, not vegan. But I love it. And I grow garlic, a lot of it. And while you can use scapes in soup, or sautéed or in dressings and sauces, I think pesto is perhaps their highest form. So I bring to you the v:gourmet exception which will make pasta sing, and will adorn any good crostini with pizazz. 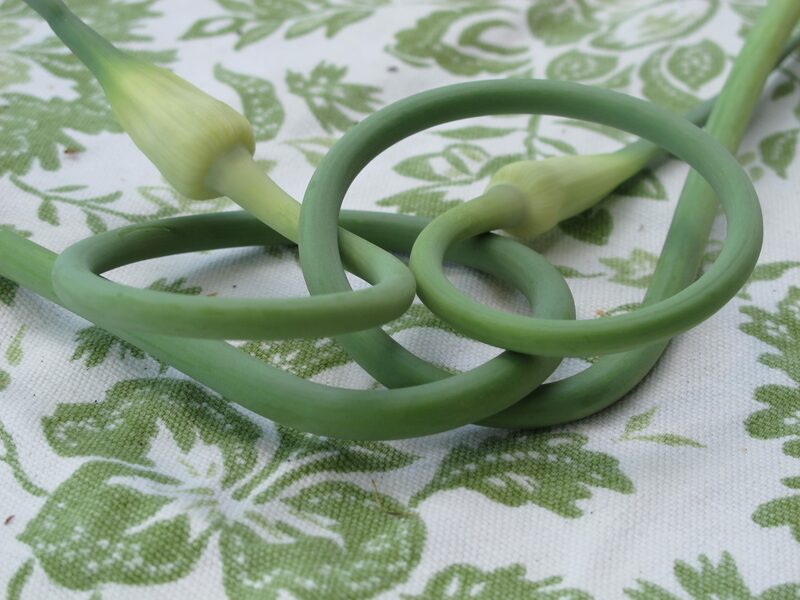 For those of you not familiar with the elegant garlic scape, they are the stems that grow up from the plant, twisting and turning, and producing a flower at the end. I should know – I just harvested 3000 of them! Bring it on. You can lightly sauté the garlic scapes or use them raw. Whichever route you take is good so throw them into a food processor with the parmigiano, pine nuts, sea salt and pepper. Blend thoroughly while slowly adding olive oil. Once blended to your desired consistency, taste, and adjust seasoning. Eat immediately or keep in the fridge for a couple of weeks or freeze to enjoy all year round. I LOVE garlic scape pesto! If you want to make it vegan, you can make vegan parm cheese by blending together toasted sesame seeds and nutritional yeast. Works great in any recipe calling for Parmesan. I LOVE this pesto. I’ve been adding it to everything from soups to sandwiches. When we simply eat the scapes sauted in olive oil and sea salt my boyfriend and i have a couple of questions. Do we eat the flower, and how far up do we trim the other end if at all? Thanks for this great recipe.